August is a slightly quieter month in the garden but there are still plenty of jobs to be done. It's a busy month for dead heading flowers to prolong summer colour and keep the garden looking good, pruning shrubs to ensure good colour next year and there should also be lots of fruit and veg to harvest. Now is the time to take stock and look to see what could be improved on next year and take notes of any gaps that may need filling, photographs are great for this as they give a long lasting memory of summer borders. Water any new planted trees and shrubs regular until they are established. Dead head to plants prolong flowering. Cut back any plants that have finished flowering. Pick flowers to bring indoors for summer bouquets. Watch out for aphids on bedding plants and roses. Dead head Lilies this will give a better display next year. Prune rambling and climbing roses that have finished flowering. Plant perennials for next year's displays. Cut out any deadwood in climbers. Start to order spring bulbs. Make sure the vegetable patch has plenty of water during dry spells. Start to lift main crop Potatoes. Keep a watch for blight on Potatoes and tomato plants and destroy affected plants. Check Brassicas for butterfly eggs these can be squashed between your fingers. Plant Garlic for next year's crop. Protect Fruit crop from birds. Freeze any Fruit for winter use. Cut down the old canes on Raspberries. Prune Blackcurrant plants after fruiting. Sow Turnips, winter Cabbage and Broccoli. Pinch out the tops of Tomato plants. Plant out any Strawberry runners. Damp down on hot days. Make sure containers get plenty of water. Continue feeding containers and baskets. Fruit in containers needs a high potash feed. 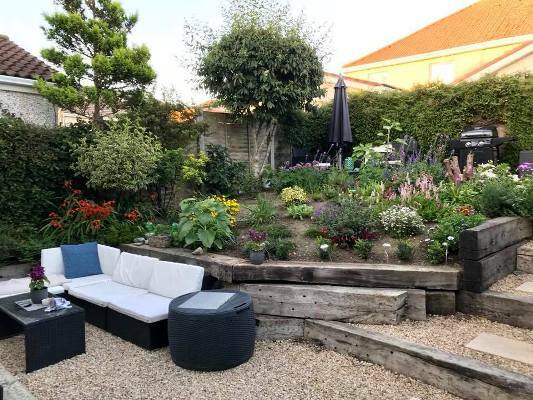 "Keep garden borders looking great this month with pruning, weeding and deadheading take a look at other gardening jobs this month. "